By its very nature, a dental emergency is typically something that occurs unexpectedly. While you can’t necessarily prepare for an emergency situation that involves your mouth, you can equip yourself with the information and resources you’ll need should this type of problem arise. At Complete Cosmetic Care Dentistry in Sapulpa, OK, Dr. Parnam Mohanna and Dr. Dalia Georgy provide patients throughout the area with emergency dental services 24 hours a day, 7 days a week. Knocked out tooth – Retrieve the tooth by the crown (the part that shows when you smile) and gently rinse it in warm water, taking extreme care to avoid touching the root. Do not remove any tissue that may be attached. If possible, attempt to replace the tooth in its socket, ensuring that it is facing the proper way. If this cannot be done, place the tooth in a container or bag of milk. Water with a pinch of salt works as an alternative if you don’t have any milk on hand. We may be able to save your tooth if you visit our office in a timely manner. Broken or chipped tooth – Rinse the mouth and collect any pieces of tooth you can find. If the area is bleeding, apply steady pressure to the wound with sterile gauze. 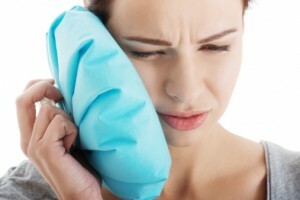 A cold compress can be used to alleviate swelling and pain against the outside of the mouth. Soft tissue injuries – An injury to the soft tissues of the mouth – including the gums, lips, cheeks, tongue, or palate – should be evaluated by our dentists. Rinse the area with warm, mild salt water and apply a moist gauze pad to control bleeding. Contact us if bleeding is heavy or does not subside within 15 to 20 minutes. Toothache – Though a toothache may not initially seem like a dental emergency, pain in your tooth may signify the presence of an underlying condition that is quite serious, including a root infection or abscess. Rinse the mouth with warm water and attempt to remove anything lodged between the teeth with dental floss. Call us to schedule an evaluation. If you or a loved one is experiencing a dental emergency, contact our office in Sapulpa, OK and speak to our caring, experienced staff. We look forward to serving you and exceeding your every urgent care need. Our state-of-the-art dental practice proudly serves families from throughout Sapulpa and the surrounding areas, including Tulsa, Bixby, Mounds, Jenks, Keifer, Okmulgee, Glenpool, and beyond.